Youll love this one story cozy home in Harris Branch! 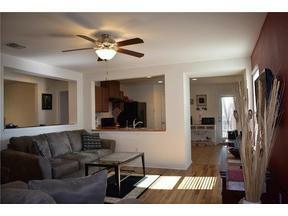 This 3 bedroom 2 bathroom plan is great for a young professional, growing family or love birds looking to downsize. The screened in back porch has a great view of the retention pond with no neighbors directly to the rear. The living room flows right into the kitchen along with a flex space for dining or study. Call today to set up your showing because priorities in this price range dont last long!